The artistic makeup in comparison to the cosmetic, does not seek to enhance the attributes or factions of the person. It is a form that refers to the use of paint or makeup (corporal or cosmetic) in some area of ​​the body to change its appearance, this may vary according to its purpose, since it can be used for cultural, social, entertainment and even psychological purposes being part of the same identity and individuality of the person. Today he is employed in visual and audiovisual media such as theater, cinema, television, photography and related. 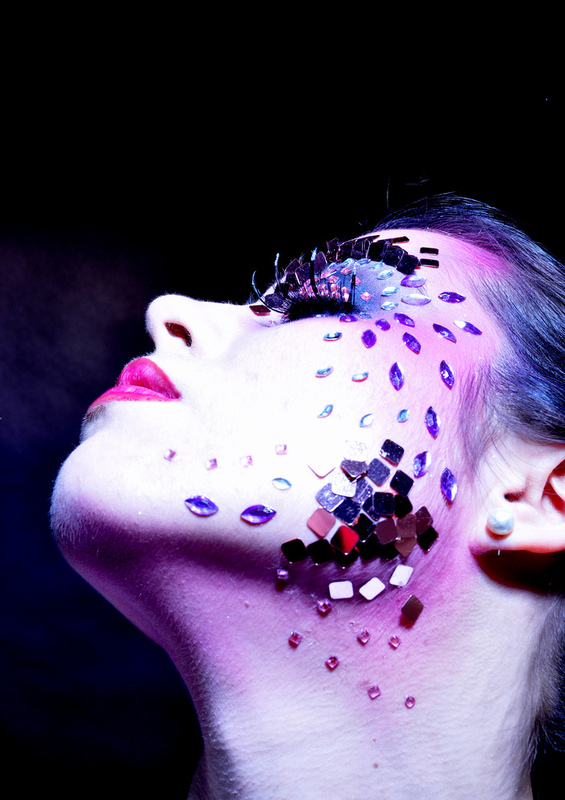 The history of artistic makeup is inevitably linked to the history of makeup. Here, diverse cultures that have left their mark for centuries around the world, using forms, elements representative of their people and tradition. It could be assumed that the origins of modern artistic make-up began more than 6,000 years ago. The word comes from the Anglicism Make-up artist that refers to an artist whose purpose is to embellish, transform or change the look of any part of the human body, using different techniques and products such as makeup and latex or plastic prosthesis. They are quite related to the cosmetic industry since cosmetics are their main tools of work. It is a pleasure for the Artistry by Mindy team to be able to work in different areas of the makeup world and of course this is no exception. We make artistic makeup for any purpose that is sought, as we mentioned in a previous paragraph if you want an artistic makeup for a cultural purpose, we have all what you need, if you want a makeup for psychological or educational purposes you can count on us, anyway for any purpose: antifaces, for special effects and much more. Artistic makeup can span the entire body if you will, it is much more complex and sophisticated. Body painting or Body painting is only done by professionals, and is used more in events or special occasions in which you intend to perform a show or special presentation, just contact us to expand this information, then we will do a series of questions and tests for check if you are allergic, since some skins are sensitive to makeup, for this you must use special paint for the body and avoid staining or irritation, but do not be afraid because we are specialists in what we do. As in all types of makeup, in this one, the right tools should also be used to make everything perfect, such as using Body Paint, which is generally used in fluorescent colors, with airbrushes to texture on the skin and for the gradients and so on. Article created based on: Maquillaje artístico y body painnnting (2010).